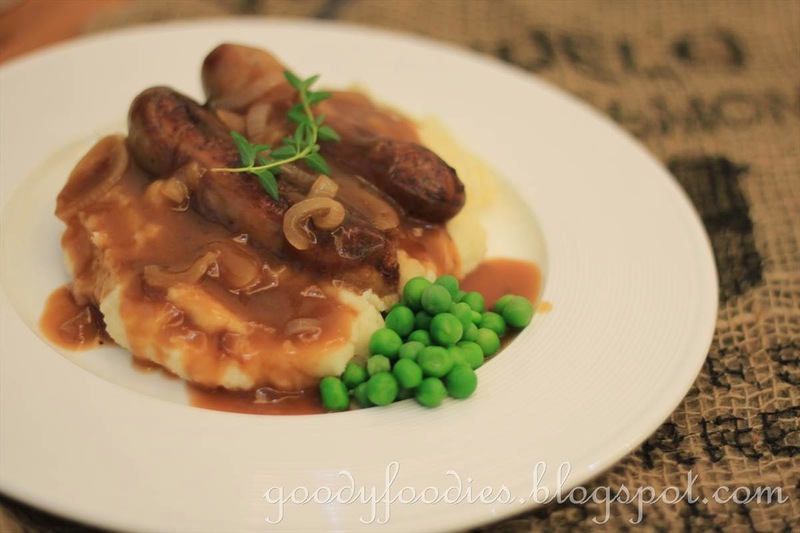 Bangers and mash is a traditional British dish, comprising of sausages and mashed potatoes and is usually served with an onion gravy, and peas. 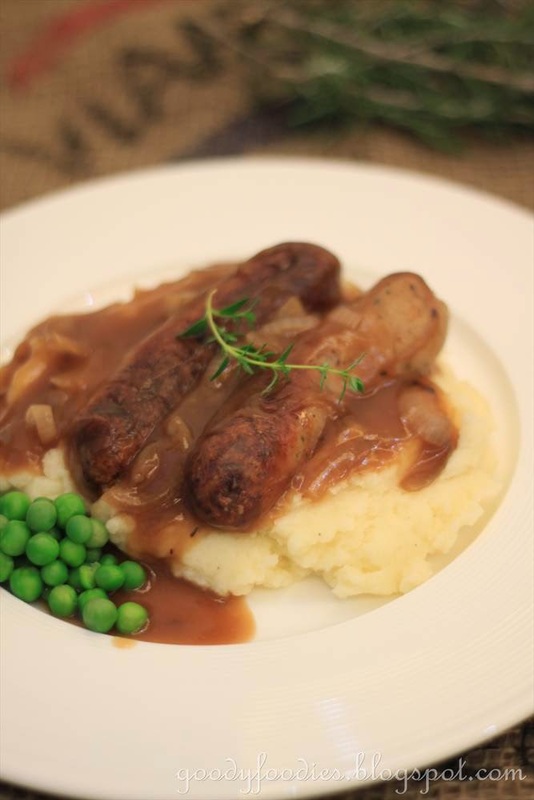 The term "bangers" is attributed to the fact that sausages, particularly the kind made during World War II under rationing, were made with water so they were more likely to explode with a "bang" under high heat if not cooked carefully. 2. 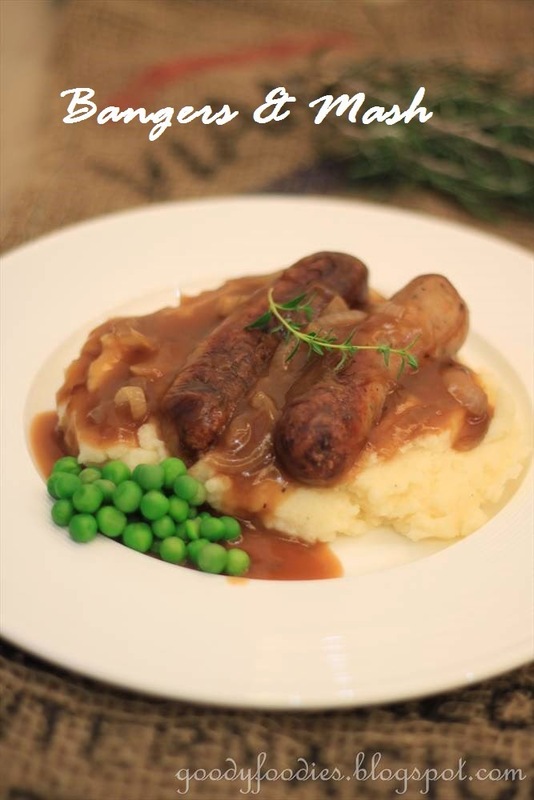 Place the sausages into a roasting tin and cook in the preheated oven for 10 minutes then turn the sausages and cook for a further 5 minutes, or until they have a good colour on the outside. 3. Add the sliced onions to the tin. Mix the dried herbs, mustard and stock together and pour over the sausages and onions. Return the tin to the oven for a further 20 minutes, or until the sausages are cooked through. Season to taste with salt and pepper. 4. For the mash, boil the potatoes in a pan of boiling water, about 12-15 minutes until tender. Drain and mash with a potato press and mix the butter and milk in until smooth. Season with salt and pepper. 5. Cook the peas in a saucepan of boiling water for 1-2 minutes. Drain and set aside. 6. 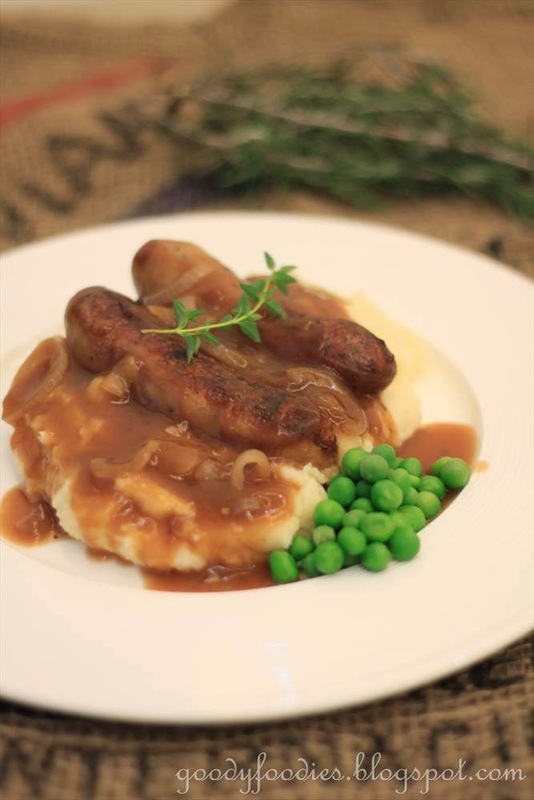 For the sausages and onion gravy, mix the softened butter and plain flour together to form a paste. 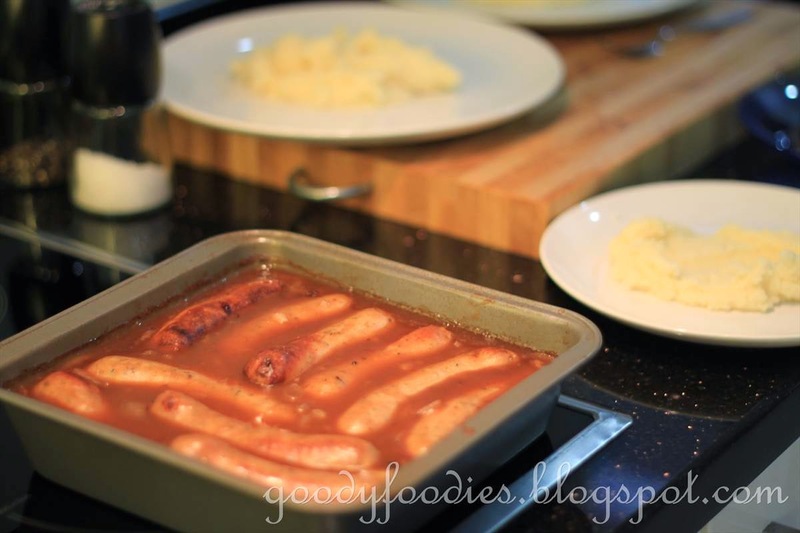 Remove the sausages from the baking tray, set aside and cover to keep warm. 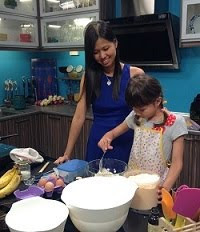 Place the baking tray onto the hob, add the flour and butter mix and whisk until combined. Stir over a medium-high heat for 2-3 minutes, or until the gravy has thickened slightly. Add the sausages back to the tray and warm through for 1-2 minutes. 7. 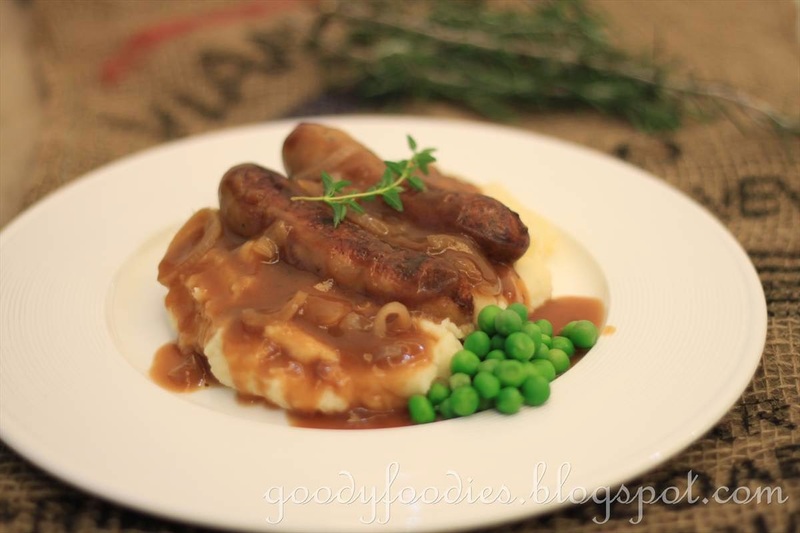 Place mash on plate, then top with the sausages with the onion gravy spooned over and peas on the side. Garnish with a sprig of fresh thyme. I'm 2nd here today! 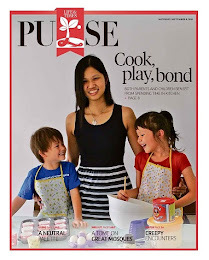 My son will love Aunty Yen if he get invited to be your house guest, haha. Looks delicious! Oh, I see....bangers because they actually banged hee..hee...Looks like a very delicious dinner! 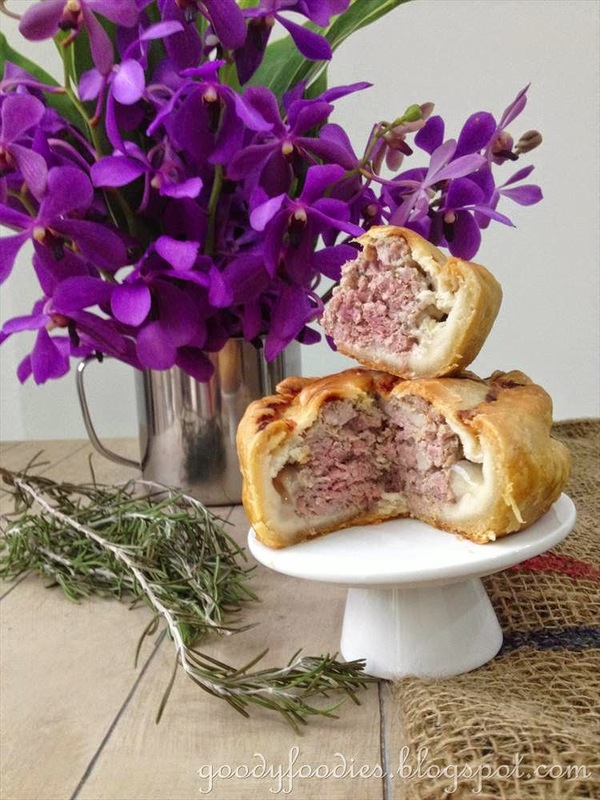 And ooo...got pork pie! If I hadn't seen the word 'recipe' in your title, I would have thought this was a restaurant you visited! Woah ... British styled ! Bangers? Mash? I'm sold... I like!!!! Delicious! 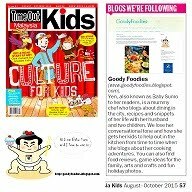 I'm getting hungry just by looking at your photos! I like the mash potatoes...looks delicious! My son Desmond ordered this at the Heathrow airport while we were on the way back. He kind of like it, I think I should make this for him one day.